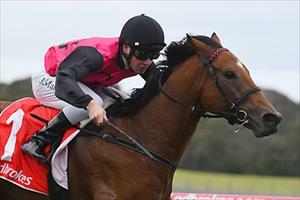 Barthelona is our only runner on a relatively quiet Sunday when he races at Geelong. Barthelona is in race eight, the Benchmark 78 Handicap over 1407m with Rhys McLeod to ride and jumping one from the outside in a field of 14. The son of Zoffany raced on the speed to score over 1400m at Sandown at his last start and has pleased trainer Mike Moroney since. “He’s trained on really well and I can’t fault him - he’s going into this race as good if not better than he was for his last start,” Moroney said. “That said, it’s a stronger race so from the draw we’re hoping he can fly the gates and settle forward. “He relaxed beautifully racing this way last start so we will try and do the same again.